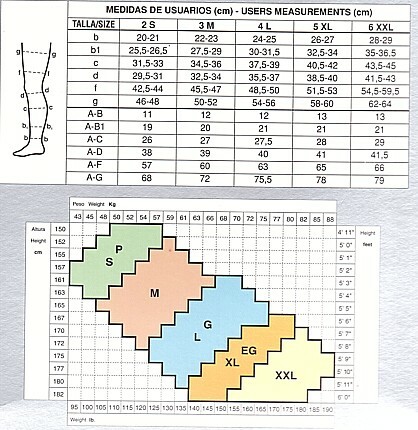 Lloveras Lai Normal Compression Hold Ups (22-29mmHg) LNCS - These Lace Top Hold Up Stockings have controlled normal compression, decreasing in percentage from ankle to top of the leg. Complete anatomical shape. bielastic for continuous massage. Without seams. With a special linking of mesh, a completely regular decreasing support is obtained, anatomically adapted to patients leg. For acute varicose veins. Post-tramic swelling after varicose vein operations. Acute varicoses during pregnancy. Lloveras Lai Normal Compression Hold Ups (22-29mmHg) - These Lace Top Hold Up Stockings have controlled normal compression, decreasing in percentage from ankle to top of the leg. Complete anatomical shape. bielastic for continuous massage. Without seams. With a special linking of mesh, a completely regular decreasing support is obtained, anatomically adapted to patients leg. For acute varicose veins. Post-tramic swelling after varicose vein operations. Acute varicoses during pregnancy.